Preventing Dog Car Sickness – Why not try these top tips? 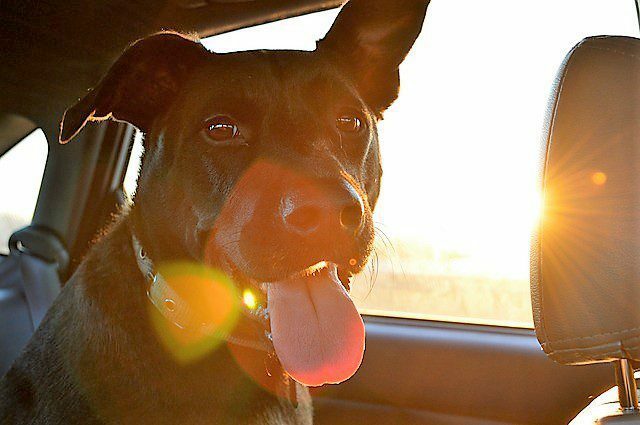 Taking a trip by car with your furriest family member in tow is one of the great joys of owning a dog unless of course, they suffer from canine car sickness. Whether you’re simply off to a nearby park or beach for a walk or travelling further afield to one of the UK’s many dog-friendly cottages, hotels and apartments for a holiday, you don’t want your trip to be spoilt by your dog becoming ill en route. Unfortunately, car sickness is a common issue for many dogs and puppies which most owners will have to deal with at some time or another. Excitement and stress at the prospect of travel combined with the motion of the car can often result in your dog becoming unwell but fear not, there are a number of options to help prevent and treat car sickness in dogs. As a dog lover, it’s not nice to see your pet stressed and unwell, so check out our top tips for relieving canine car sickness below and enjoy travelling with your dog again. Allow your dog to become more confident in your car by spending some time inside without the engine on. Try feeding them, giving them treats or playing with them while inside to promote a positive association with being in the car. Get your dog or puppy comfortable in your car before you start a journey, whether that’s by bringing their favourite toy along for the ride, setting up a bed for them to lie down on or using a dog seat belt. MedicAnimal’s transport and travel collection has a range of great options. Once your dog is comfortable being in the car, it’s sensible to start small with drives of around 10-15 minutes before you take a long trip with your dog. Once your pet is comfortable with shorter journeys you can start gradually building up the length of your drives and venturing further afield. Just like for humans, sharp turns and sudden breaks can worsen your pet’s nausea. Try to avoid any roads that are particularly winding which can increase your pet’s chance of feeling car sick. Don’t begin a car ride with your dog just after he or she has eaten, a full stomach can increase the likelihood of your pet becoming unwell on the journey, try to feed them at least an hour or two beforehand. When possible, take car rides with a friend or family member present so that they can comfort your dog during the journey. Petting and talking to them will help them stay calm and distract them from feeling unwell. Anxiety prevention remedies such as Dorwest Scullcap and Valerian Tablets and YuCALM Dog are also a good option for car sick dogs and pups as nausea tends to be caused by stress. Consult your vet for more advice about stress relief tablets if you’re unsure about the best product for you and your pet. Try to keep your dog facing the front of the car during journeys to reduce feelings of sickness, rather than looking out the side windows. One way to keep them facing forward is by using a specially designed dog seat belt. Keep a window open during your journey, the fresh air will keep the car cool and ease the pressure which will help reduce your dog’s nausea. A hot and stuffy car can contribute to unpleasant sensations for your dog. Take a break for some fresh air and a run around if your dog appears to be stressed, this will help to calm them down and reduce the chance of them becoming unwell. Make sure you take these breaks regularly on longer journeys. Don’t punish or shout at your dog if they do become sick the car while travelling. Scolding your dog will only increase their negative association with driving and could even make matters worse on your next journey. Stop the car for some fresh air and give them some water so they don’t become dehydrated after vomiting. Hopefully, once you’ve tried out the above tips, travelling by car with a sick dog or puppy will be a thing of the past! If the problem continues to persist speak to your vet for more advice. Do you have any other advice for preventing dog car sickness? Let us know below.